Nationwide United knows the demands and the requirements for flatbed transport shipments. From loading to strapping our expert fleet carry the experience to safely move your freight. Our flatbed trucking service is the efficient shipping solution for freight of all sizes. Whether your load is too tall, wide, over dimensional or heavy our staff are experts at matching the right flatbed trailer for your load. In the case you require permitting we can assemble the proper permit package required to legally transport your freight. 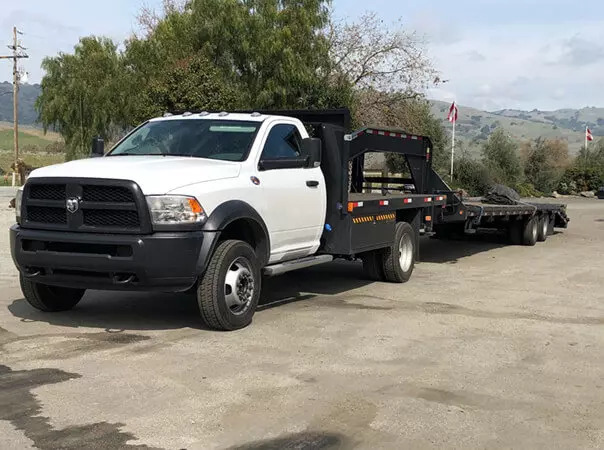 We exceed every customer’s expectations by providing professional experience and safety for a seamlessly flatbed transportation anywhere in the U.S. Do not let just any company handle your flatbed transport. There are so many trucking companies in the industry that it can be tricky to narrow down the top ones. Many companies diversify their services so much they lose primary focus of one facet which causes the potential fail and decrease of proficiency and abilities. Whenever you demand a team that really cares about your load, we are that team. Let us create the most value for your LTL or truckload transportation needs. Flatbed freight shipping is an integral service to the transportation industry. Tons of products, machinery and equipment is shipped in the U.S. on flatbed trucks everyday. Nationwide United is proud to be a vital part of that system. 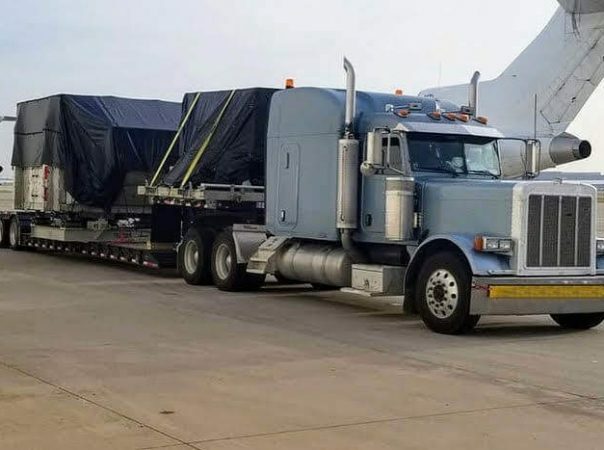 Our flatbed freight shipping offers the amplitude for pop-up, surge, inter modal, and dedicated services, regardless of industry. TRUCKLOAD – Truckload freight shipments typically occupy more than half or the full capacity of a 48′-53′ trailer. This method is generally used when clients have enough items to fill an entire trailer, their freight is schedule-sensitive, or need their cargo in a trailer by itself. LESS THAN TRUCKLOAD – Less-than-truckload freight shipments typically occupy less than half of a 48′-53′ trailer. When you book a partial truckload, you split the cost of a truck with other shippers – saving you money. STEP DECK OR DROP DECK – Very similar to a standard flatbed trailer. 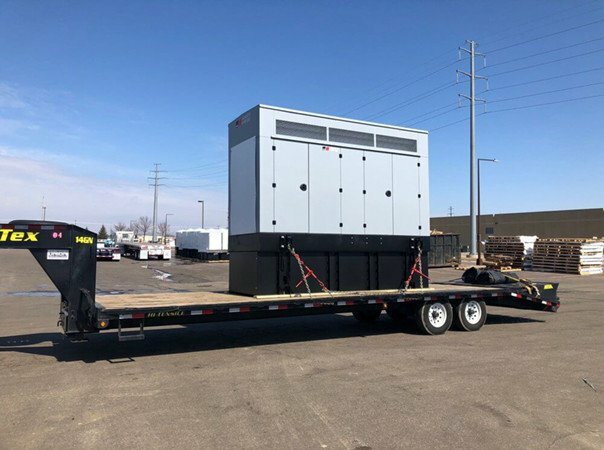 It features a lower deck that allows hauling of taller items up to 10 ft.
REMOVABLE GOOSENECK (RGN) – A specialized lowered flatbed trailer commonly used to haul loads up to 12 feet tall. RGNs are generally used for hauling heavy machinery like industrial equipment. FLATBED HOTSHOT – Hotshot trailers are utilized for shipping freight products that need expedited shipping. Commonly, flatbed hotshot trailers can haul between 12 and 20,000 lbs. DOUBLE DROP – Commonly used for oversized freight taller than 10 feet. 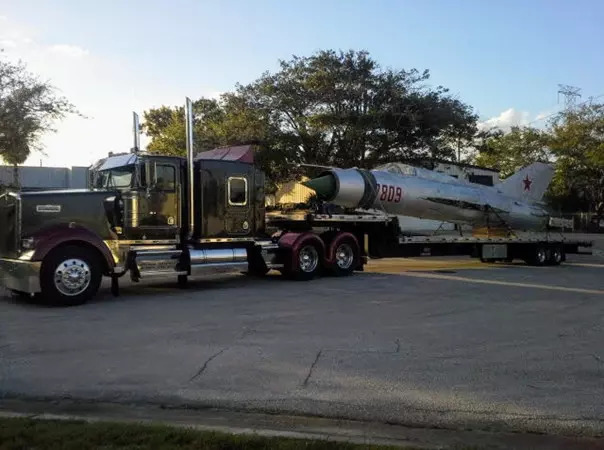 It’s designed with a middle well that drops between the front and rear trailer axles, with space ranging from 25 to 29 feet. EXTENDABLE FLATBED – Also known as flatbed stretch trailer is ideal for freight that is too long for transporting on a standard flatbed trailer. CONESTOGA – Conestoga trailers come with a rolling tarp system that is used to cover and uncover the trailer and gives protection to the freight. We provide you the truck and driver to transport your trailer shipment to your specified destination.